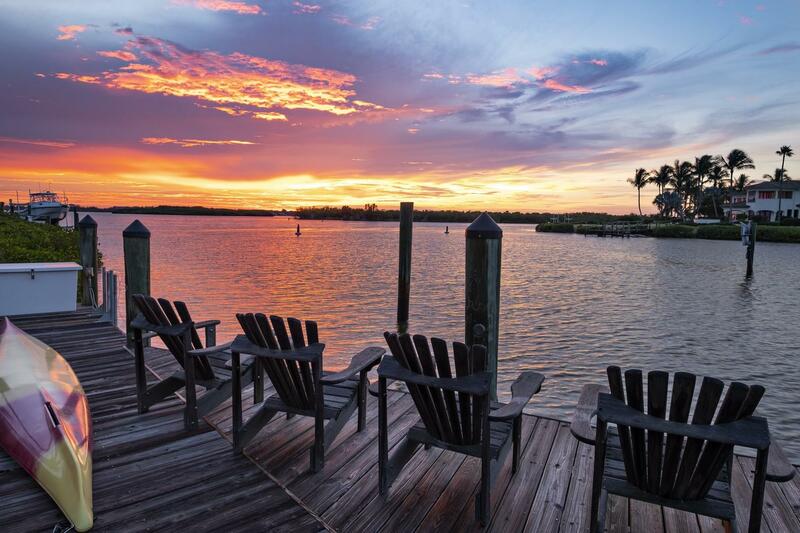 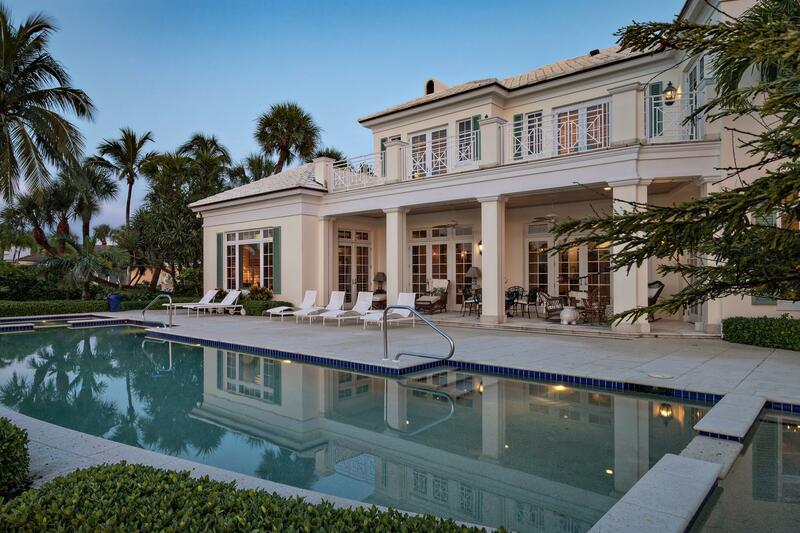 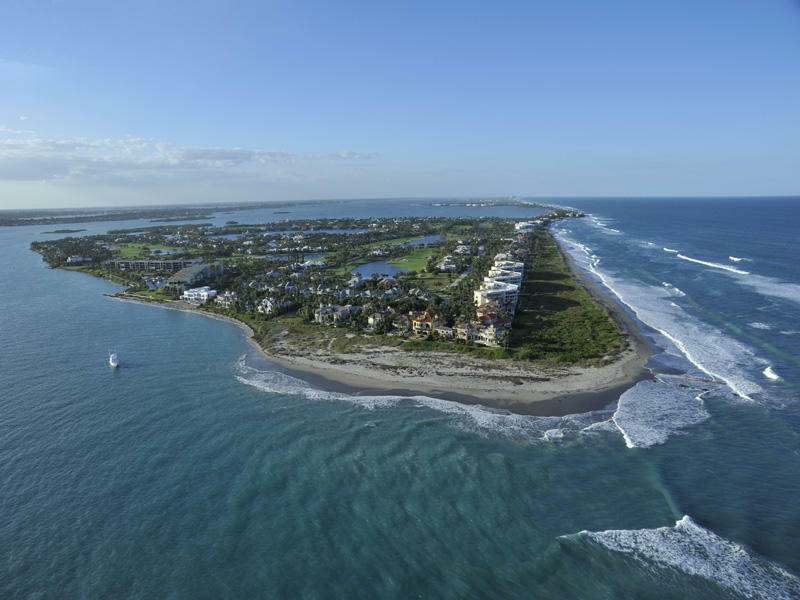 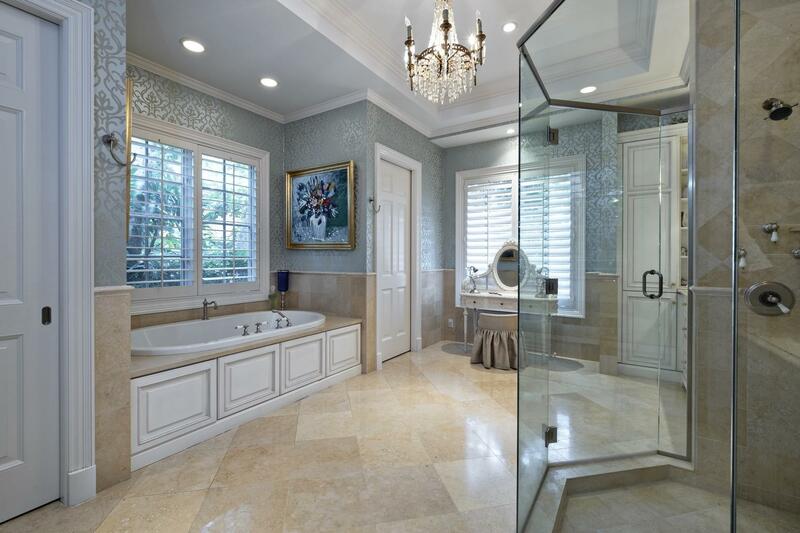 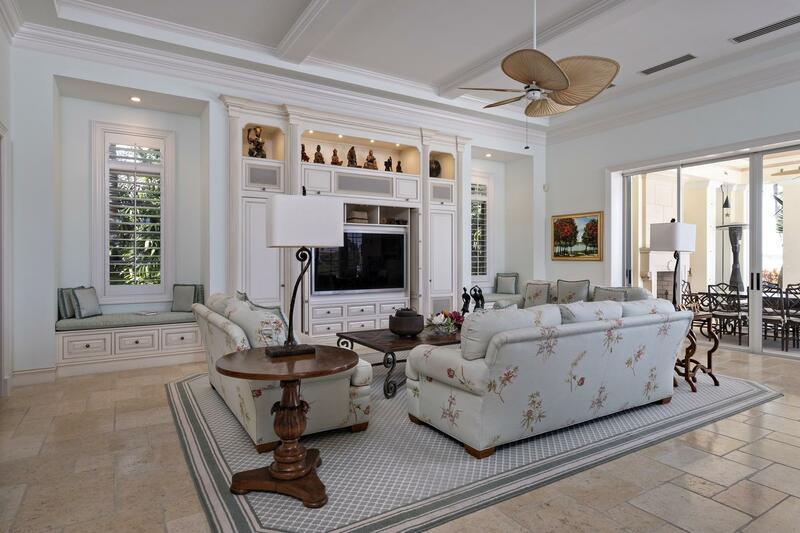 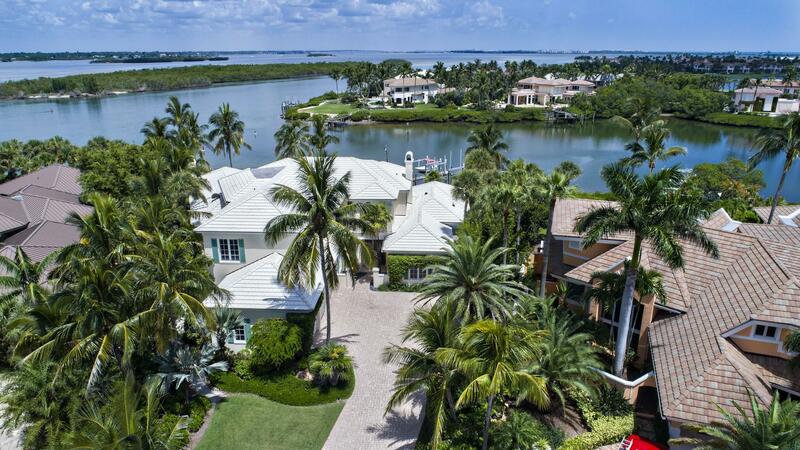 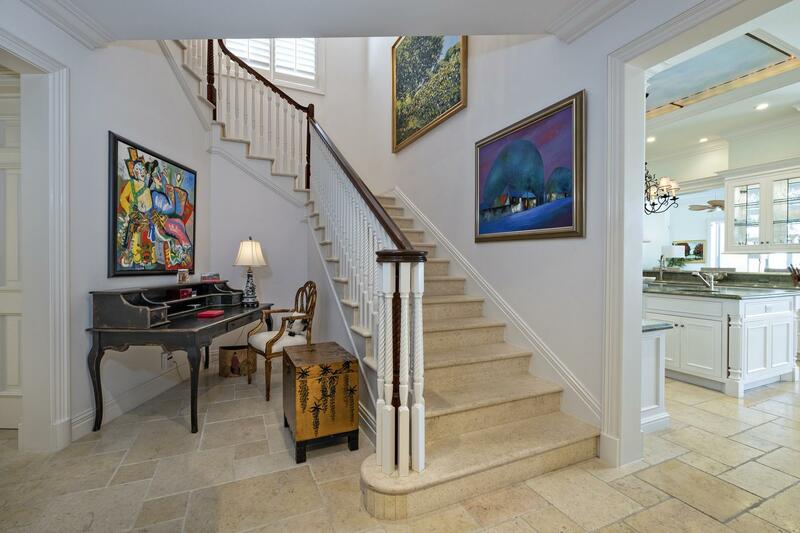 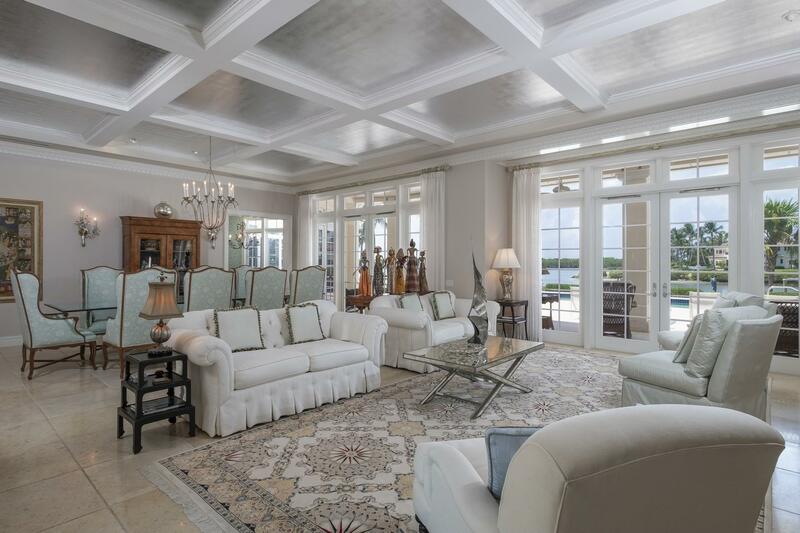 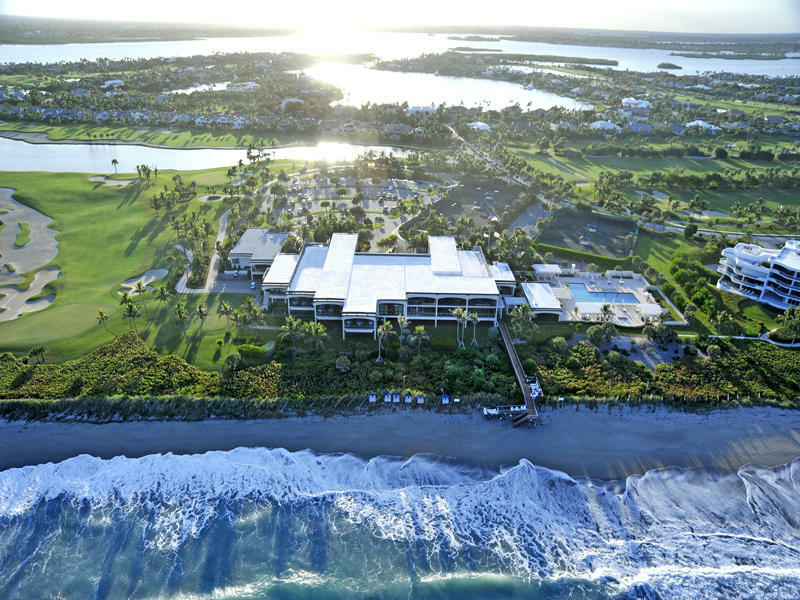 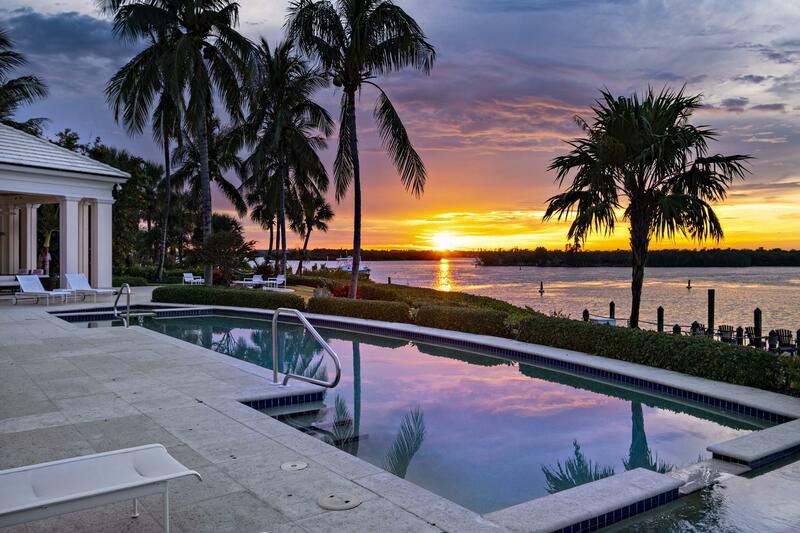 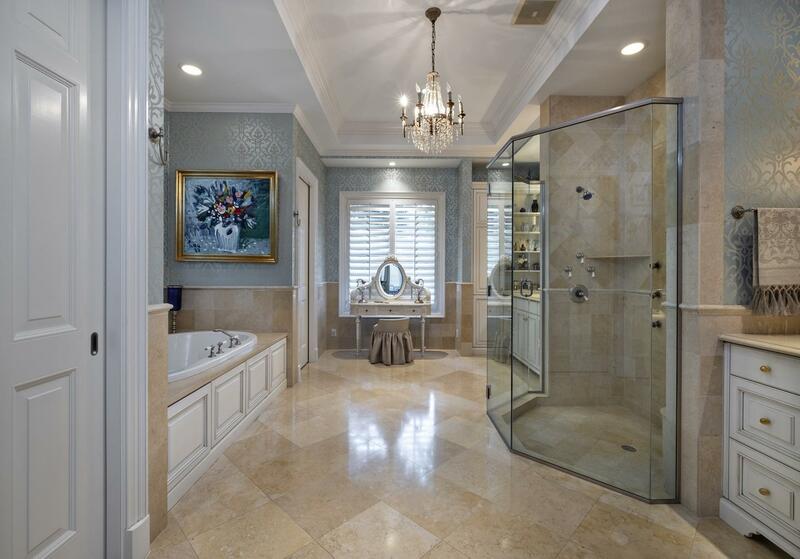 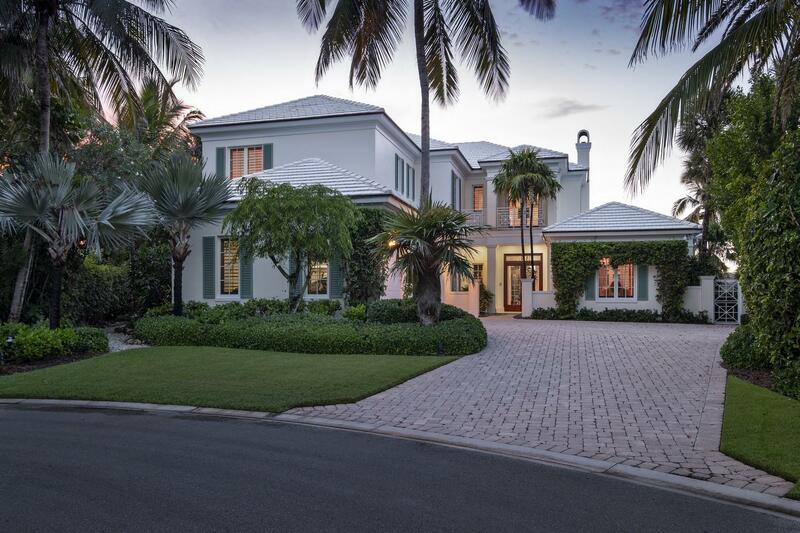 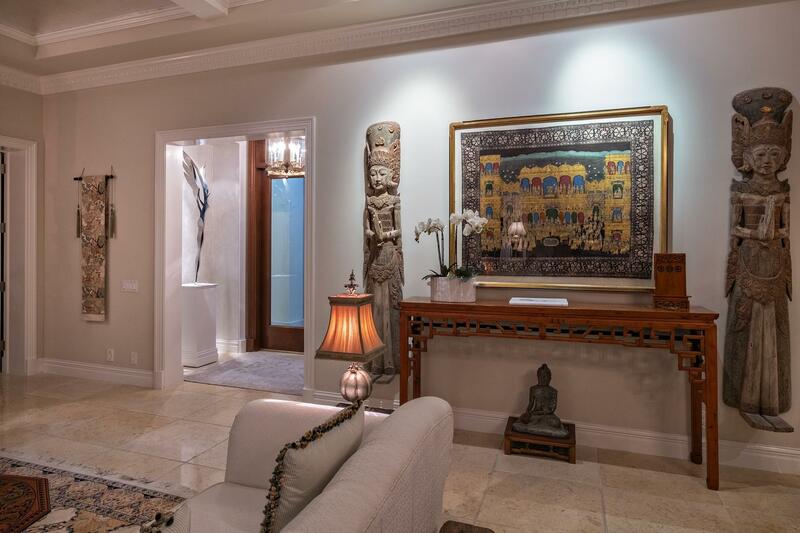 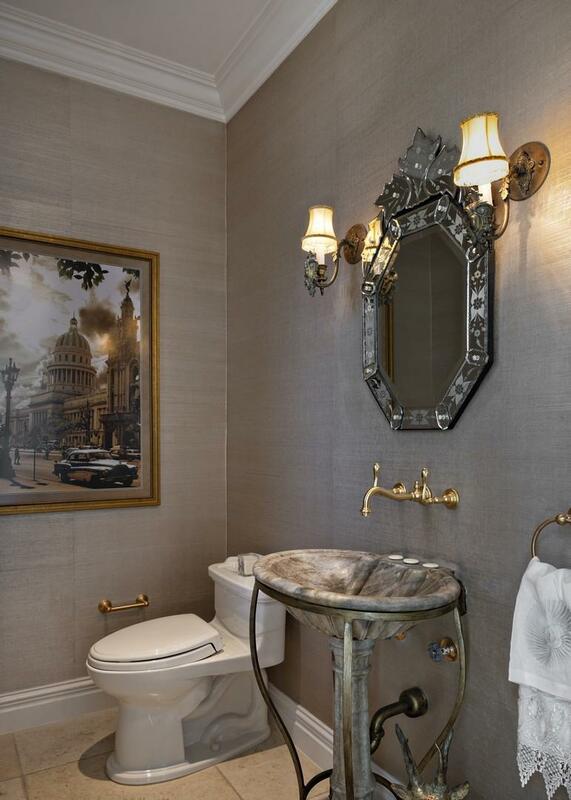 Public Remarks: Spectacular waterfront estate. 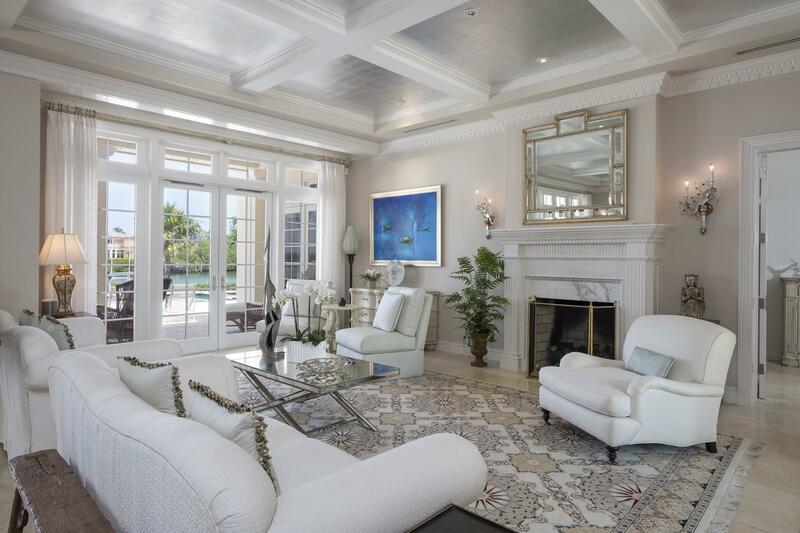 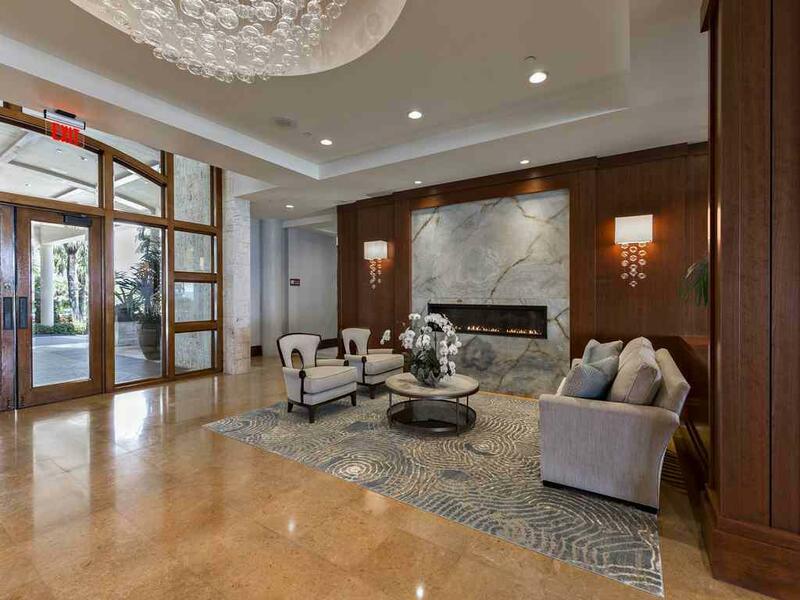 Casual elegance greets guests entering great room featuring floor to ceiling fireplace, coffered ceiling with decorative silver leaf finish. 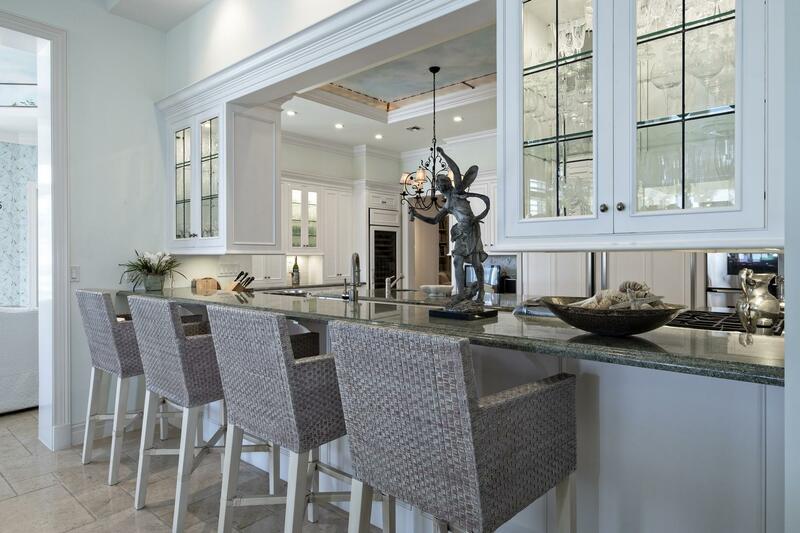 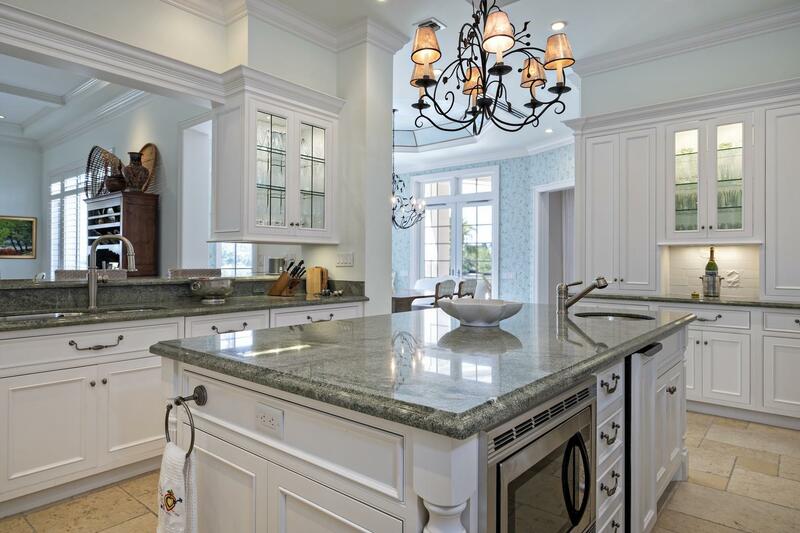 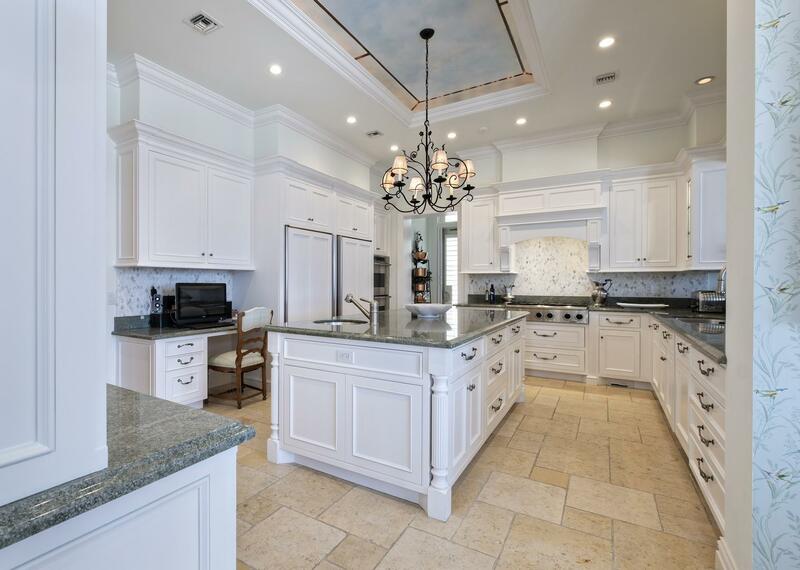 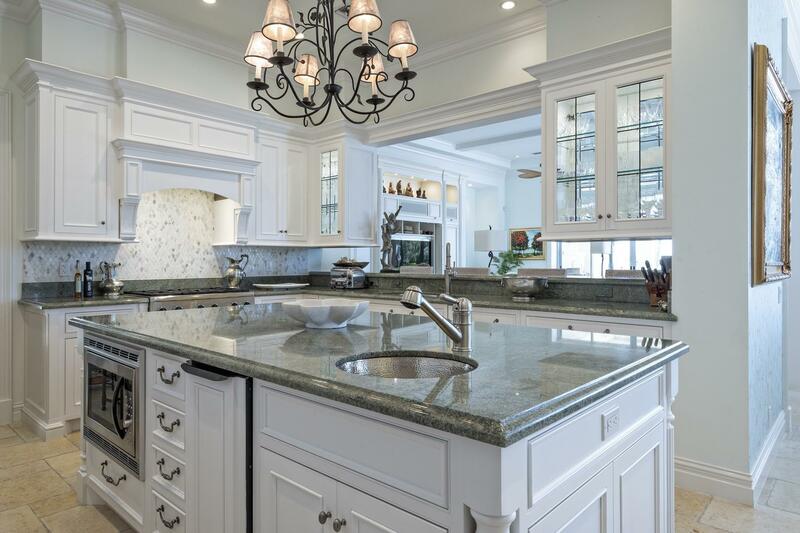 Chef's kitchen with center island features high end appliances & finishes. 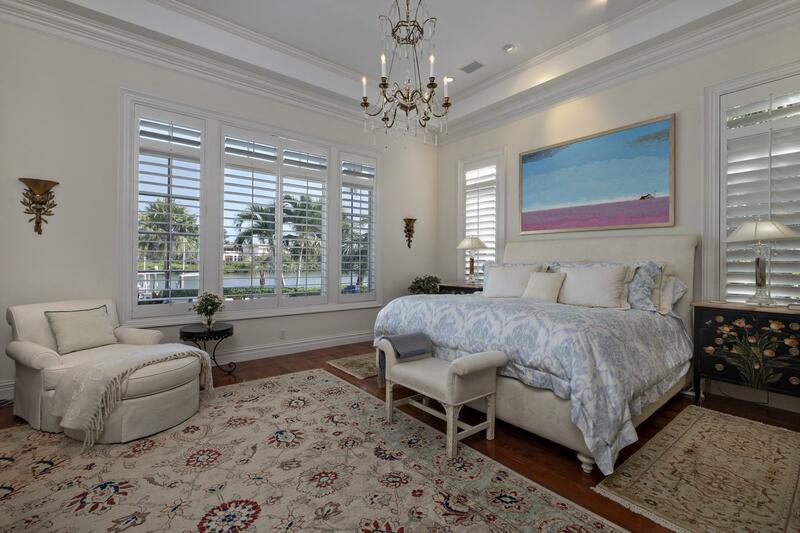 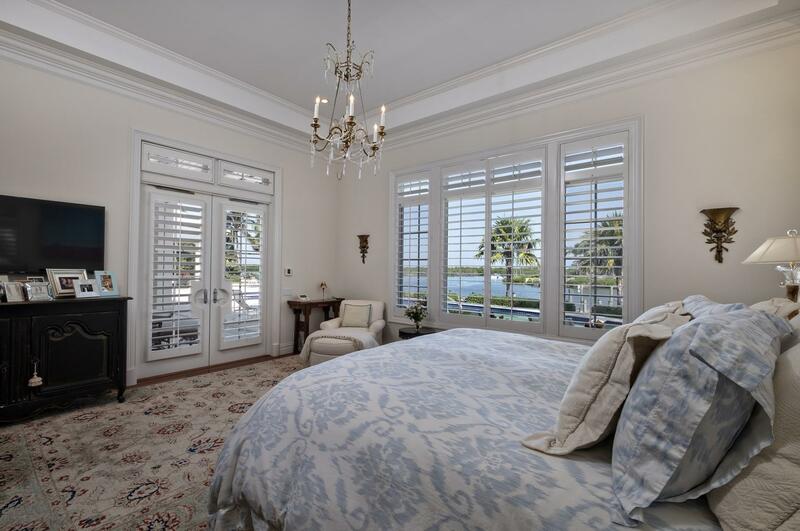 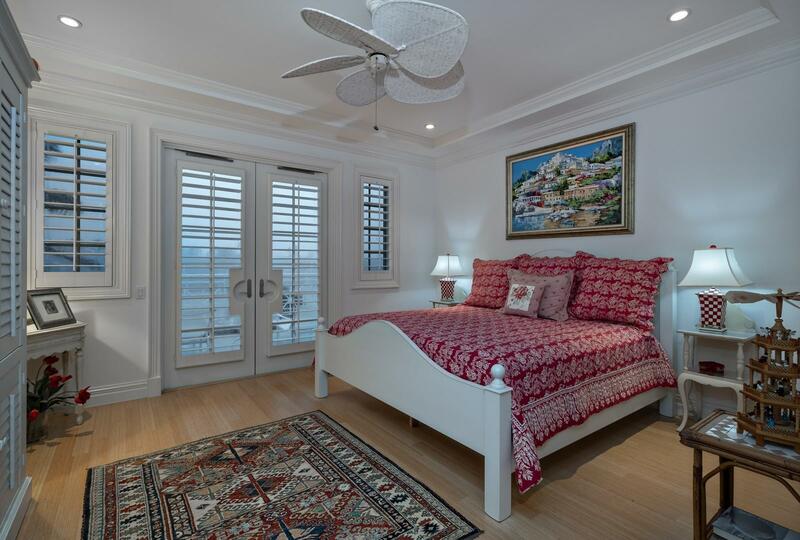 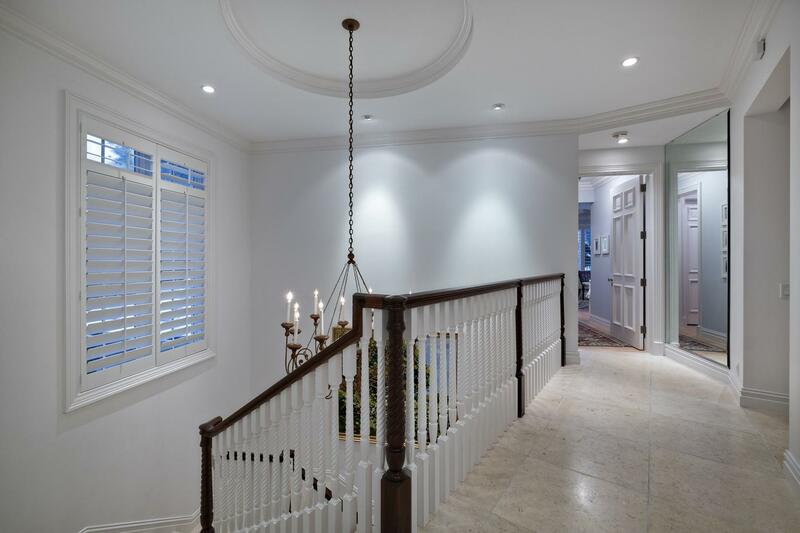 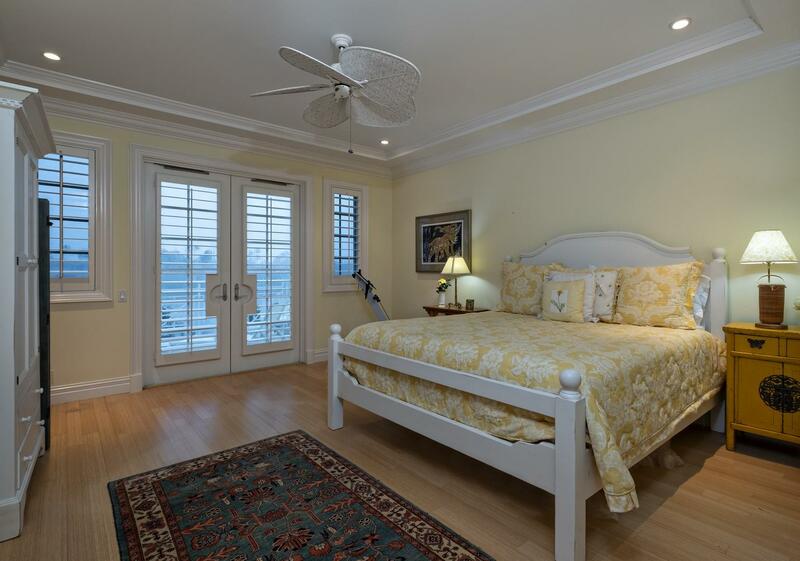 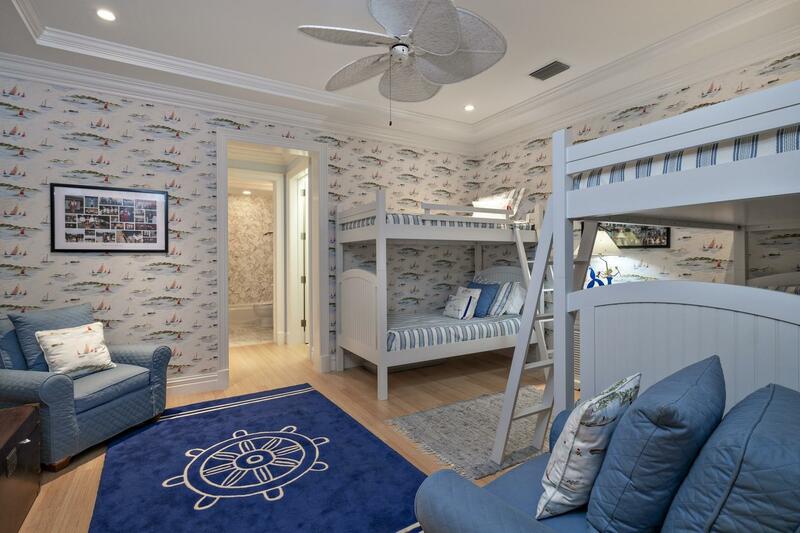 Main level master suite is a private oasis; highlights include cherry wood floors, plantation shutters master laundry & luxurious master bath. 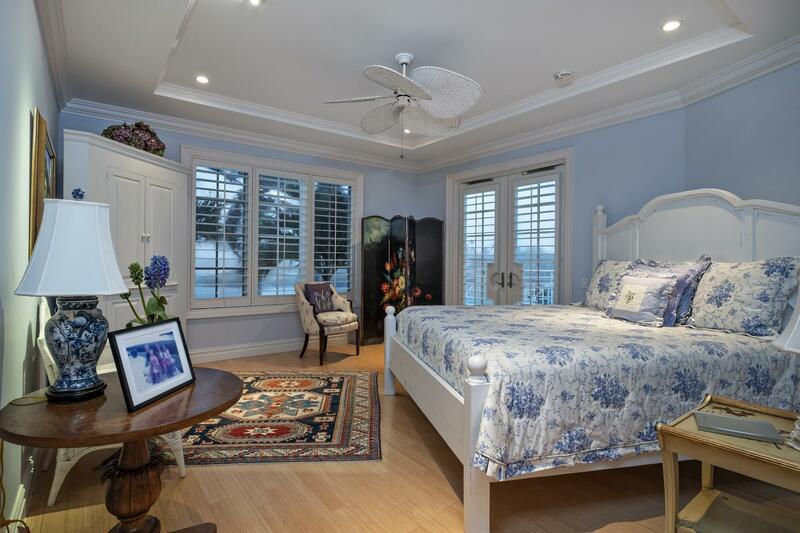 5 second floor ensuite guest bedrooms. 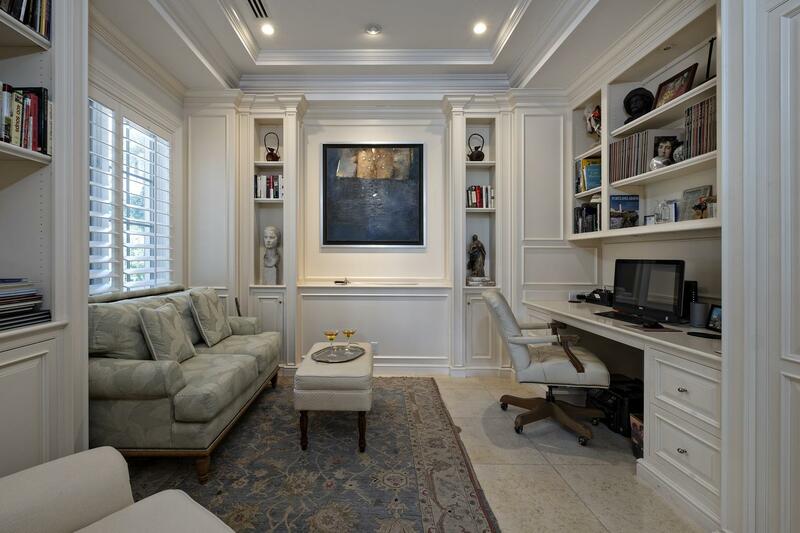 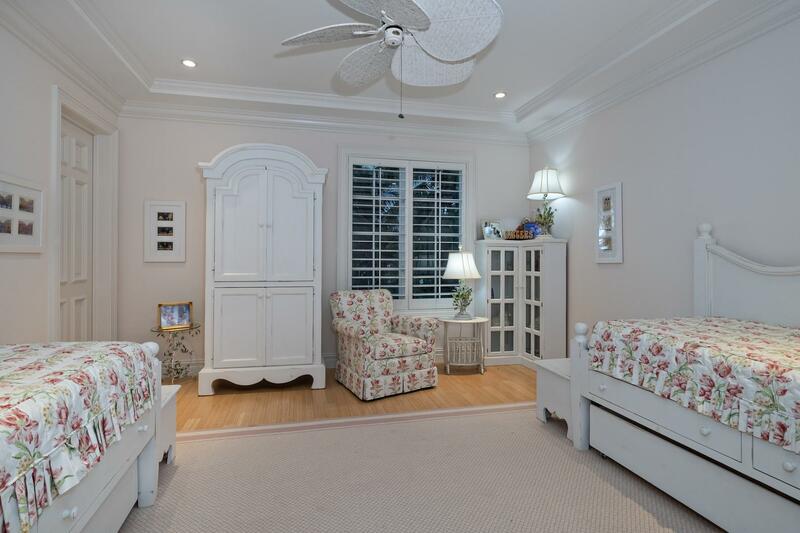 Main floor showcases morning room, study & family room. 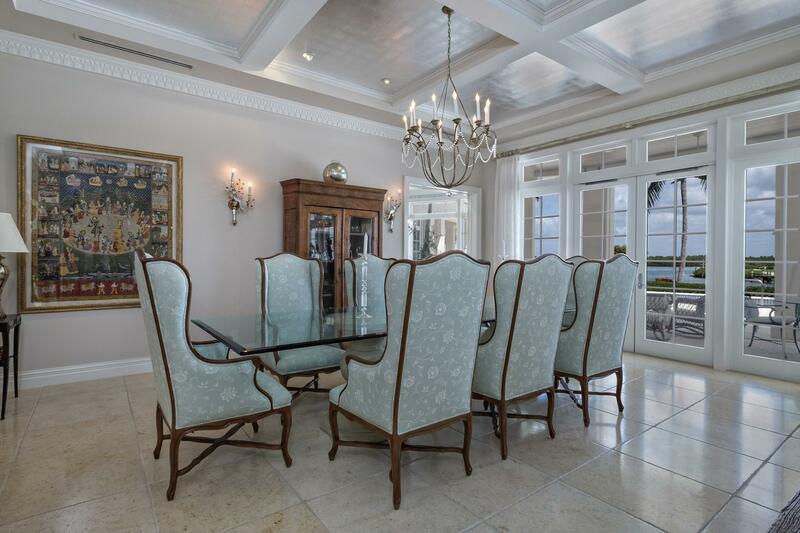 Covered loggia set to entertain; stone floors, fireplace & summer kitchen. 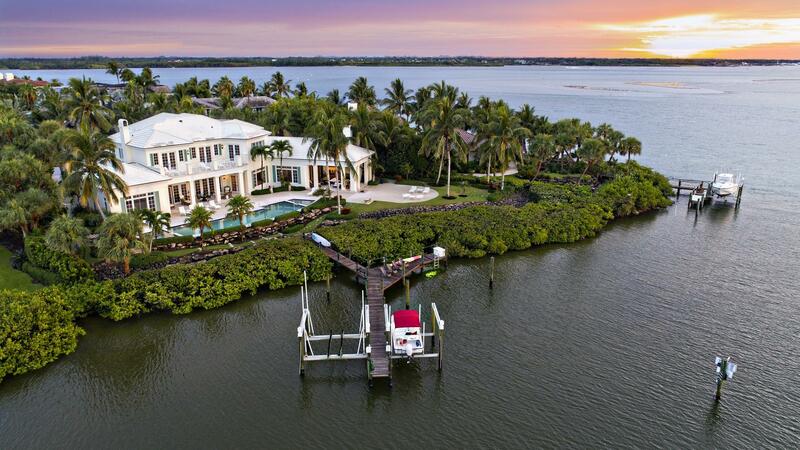 50' salt water lap pool, private dock with 2 lifts; 4,500 lbs. 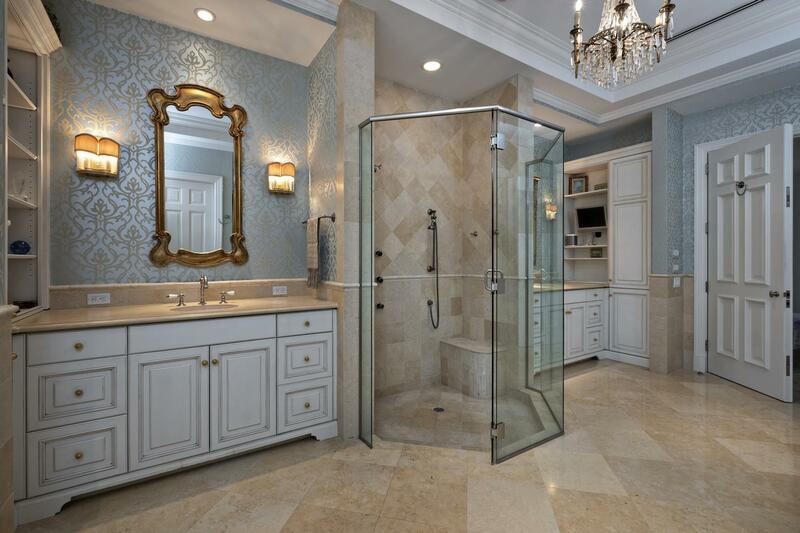 & 16,000 lbs.